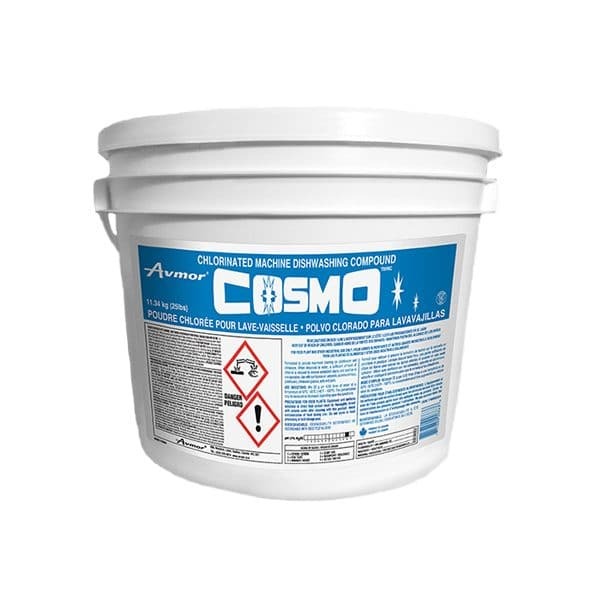 Formulated to provide maximum cleaning on plasticware and chinaware. When dissolved in water, a sufficient amount of chlorine is released to remove embedded stains and sanitize in one operation. Use with confidence on: utensils, aluminium trays, plasticware, chinaware glasses, pots and pans. Mix 22 g (3/4 oz) per 4.55 litres (1 gallon) of water at a temperature of 60°C - 65°C (140°F - 150°F). The concentration may be increased or decreased depending upon the conditions. STORAGE: Store in cool dry place. Keep tightly covered when not in use. PRECAUTIONS FOR FOOD PLANTS: Equipment and surfaces subjected to direct food contact must be thoroughly rinsed with potable water after cleaning with this product. Avoid contamination of food during use. Do not store in food processing or food storage area. BIODEGRADABLE. DEGRADABILITY DETERMINED IN ACCORDANCE WITH OECD TEST No.301D.